Folliculitis is a condition which affects the follicles, the openings surrounding hairs that allow them into the skin. It appears when these spaces get infected, usually due to a lot of friction that let some sort of bacteria or germs inside. Causes for this condition are plenty, though some of the most common ones are irritation resulting from shaving, ingrown hairs, poor hygiene, or breaches in your immune system. Keep scrolling and discover the best home remedies for folliculitis we recommend and what you need in order to make them. Try our home remedies for folliculitis and you won’t regret it! Exposing the affected area to some sort of source of warmth is going to boost circulation trough your body, thus speeding up the healing process. This way, you can also numb down the inflammation and irritation that are often some of the most unpleasant symptoms of this condition. Transfer the water into a plastic bottle. Place the water bottle inside of a towel and wrap it in. Set this compress directly to the area troubling you. Keep it pressed until it cools down. Turmeric is rich in curcumin, a compound that serves as a natural anti-inflammatory agent with wonderful soothing properties against all kinds of swellings and irritations. It’s precisely what you need to bring down inflammation coming from folliculitis in a fast and effective manner. You can also use turmeric in case you suffer from a stomach virus. Blend half a teaspoon of turmeric with either coconut or olive oil until you form a paste. Slather it on the affected area. Wait 1 or 2 hours then rinse off the turmeric paste. Reapply until the infection is gone. Indian lilac, also commonly known as neem, is one of the best home remedies for folliculitis thanks to its excellent anti-inflammatory properties which will bring relief to irritation and swellings. It’s a herbal treatment that will contribute to your healing in a natural and steady manner, so definitely consider it if you’re looking for a great remedy to help you treat this issue. Grind a fistful of neem leaves into a paste. Apply it on the sensitive area. Repeat this a few times a day. Boil some neem leaves in water until the water quantity shrinks down to one-third. Use this water to wash the affected area. 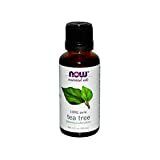 ESSENTIAL AROMATHERAPY - Tea Tree is renewing with a potent, warm spicy scent associated with purification and cleansing. Uplift your mood and reduce negative energy and its influence on your mood with premium oils ideal for purifying the air. NATURALLY SOURCED/RESPONSIBLY MADE - This oil is extracted through steam distillation of leaves and twigs. Made in state-of-the-art laboratories, naturally derived and subject to purity testing in-house, vegan and never tested on any animals. Tea tree oil is, above all, a highly powerful antiseptic with wonderful healing abilities. It can banish bacteria that lurk around the follicles, the culprits behind infections and inflammations and, by default, behind this very condition. Aside from destroying bacteria, tea tree oil also has anti-inflammatory properties to provide relief from pain. Blend 5 drops of tea tree oil with 2 to 3 tablespoons of olive or coconut oil. Massage this oil on the affected area. Rinse it off after 1-2 hours. Pour 1 or 2 drops of tea tree oil into a cotton swab. Allow it to sit for 1 hour. Two pounds of certified organic aloe vera leaves. Aloe Vera is truly the plant to go for if you are in desperate need of something to help you get rid of inflammations and pain. To bring relief to skin affected by inflammations and swellings, you can certainly reap the cooling effects of Aloe Vera to help you. Moreover, it is also very useful when treating a sebaceous cyst. Add 1 cup of any mild shampoo of your choice in a bowl. Add in the shampoo 1 teaspoon of Aloe Vera gel and 1 tablespoon of lemon juice. Wash your hair using this homemade shampoo and then leave in your hair for a few minutes. Repeat this whenever you’re in need of it. Oatmeal has moisturizing properties that are particularly useful when you are dealing with a case of drying of the scalp, a very common side effect of this condition. That being said, oatmeal is one of those home remedies for folliculitis that will help you with the numerous aesthetic issues resulted from this affliction. Packed bulk to save you money! High in beta glucans! USDA Certified Organic, Non-GMO, Grown in the USA! Delicious and nutritious hot breakfast! Minimalist Packaging. Wonderful added to your homemade whole wheat bread. All you need to do is soak some oatmeal in some hot water. Let is it cool a bit. Apply generously to your head and leave on for 10-15 minutes. Rinse and shampoo as usually and repeat frequently for lasting results. HIGH QUALITY OREGANO OIL: 100% pure, gentle, and effective natural oregano oil from a non-GMO source. No toxins or additives. Unfiltered and undiluted. Therapeutic grade. Steam-distilled. Packaged & bottled in the USA. MADE WITH LOVE: UpNature was founded by two brothers with a vision to provide 100% all natural products, for easy, effective, & natural solutions for health & well-being, so everybody can live happier and healthier lives. FIGHT COLDS: A soothing oil to keep you healthy all year round. SOOTHE SORE THROATS: Stop your cough before it starts! 100% MONEY BACK GUARANTEE: We offer a full 100% 365 days money back guarantee. If you are not satisfied with UpNature Oregano Oil, we will refund your entire purchase. Next on our home remedies for folliculitis list we have oregano oil. Due to its texture, it’s automatically moisturizing and it will help deal with dryness, another common side effect that takes its toll on your skin. Furthermore, it’s highly antiseptic, so it will also destroy the bacteria giving you trouble. Grind around 3-4 cloves of garlic until you get a pasty consistency. Add about 4-5 drops of oregano oil and mix everything thoroughly. Apply this mixture directly to the affected areas and let it sit for 2-3 minutes. Repeat this treatment for the next few weeks on a daily basis. Coconut oil, just like oregano oil, is truly wonderful at providing your skin with the moisture that it needs in case the condition is leaving it dry and patchy. It does not only provide moisture but it is also great at providing relief from itchiness, that is why we also recommend it as one of the best home remedies for itchy scalp. Heat up 2 tablespoons of coconut oil. Spread the coconut oil through your hair. Cover your head with a towel and leave it on overnight. Wash your hair and shampoo as normally the next morning. Alcohol-free - That's right, an astringent without alcohol or an unpleasant alcohol fragrance! Your skin will be left thoroughly cleansed and conditioned without disturbing its natural moisture. You'll be amazed how soothing, non-drying Quinn's is. Won't dry out - Our unique formula is NOT DISTILLED, leaving the active WITCH HAZEL within to act as an ALL-IN-ONE CLEANSER, TONER & MOISTURIZER, suitable for ALL SKIN TYPES, on ANY FACE. All natural - all of our ingredients are 100% natural, organic and free of parabens and propylene glycol, and includes our certified organic Aloe Vera. 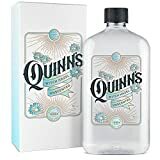 Save $7 when you buy 2 x Quinn's products. See "SPECIAL OFFERS AND PRODUCT PROMOTIONS" below. Don't love your Quinn's Alcohol-Free Witch Hazel? We will happily give you a 100% money back satisfaction guarantee refund. Witch hazel is a powerful natural antiseptic that is going to be of great help when dealing with such a delicate situation. It can destroy bacteria infecting the follicles and contribute to the recovery of your skin by providing it with the nutrients it needs to fight off infection and inflammation. Due to its amazing properties is is also on our list of the best home remedies for genital warts. Apply some witch hazel directly to your scalp using a cotton pad. Garlic is quite possibly one of the biggest antiseptic agents of nature, as well as one of the most reliable home remedies for folliculitis thanks to its antibacterial prowess. It is also used for a variety of other conditions, like for getting rid of jock’s itch, or even when suffering from a staph infection. Mash 2-3 cloves of garlic. Add to a small bowl of water and let it all infuse for about 10 minutes. Dip a cotton pad or ball in this solution. Let it dry out and then rinse with water and apply a moisturizer. Goldenseal is a soothing plant that you can use to help you deal with the problems of this condition. It’s one of the most efficient home remedies for folliculitis thanks to its fantastic soothing properties and the moisturizing prowess that will deal with skin dryness. Add 1 teaspoon of goldenseal powder to 1 cup of water. Let it steep for a few minutes and then strain. Wait for the solution to cool down. Apply the mixture directly to the skin for 10 minutes and then pat dry. Repeat 2-3 times a day for proper results and benefits. 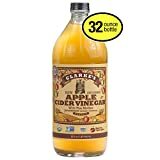 Apple cider vinegar is quite famous for its antiseptic and antiviral properties. It’s capable of balancing pH levels on your skin, thus creating alkaline environments that are anything but welcoming to bacteria causing infections and inflammations. Simply create a mixture using this renowned remedy and you have earned one of the most reliable home remedies for folliculitis. Mix 1 part raw, unfiltered apple cider vinegar with 2 parts lukewarm water. Take a cotton ball and use it to apply this solution on the irritated skin. Let it sit for 10 minutes, then rinse it off. Slather on some coconut oil to moisturize the area and prevent flakiness. Mix 1-2 teaspoons of raw, unfiltered apple cider vinegar with a glass of lukewarm water. Drink it 1 to 2 times daily. 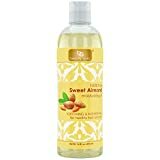 Like the other oils we have mentioned, almond oil is also a fantastic way of dealing with the main symptoms of folliculitis: skin dryness and itchiness respectively. It brings moisture to the skin and its antiseptic properties allow it to combat itchiness by destroying bacteria, which makes is a great home remedy for stretch marks as well. Combine 1/4 cup of almond oil with 1 raw egg. Apply the mixture to your hair and scalp from the roots down. Let it sit for 40 minutes. Rinse and shampoo as per usual. 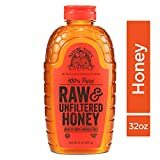 Last but definitely not least, honey is both an antiseptic and a deeply moisturizing agent, famous for its ability to retain moisture and lock it in the skin so that it resists longer. It will help you with folliculitis both on a surface and profound level. It is also very helpful in cases of itchy skin. Combine 2 tablespoons of honey with 2 tablespoons of lemon juice in 1 cup of water. Pour this solution all through your hair and scalp. Leave on for another 10 minutes. Wash out using lukewarm and apply your favorite shampoo. Remember that you should absolutely consult a dermatologist about the current state and possible risks of the condition. In the meantime, however, either one of these home remedies for folliculitis are going to help you keep under control some of its most troublesome symptoms, particularly dryness, flakiness, and itchiness. Let us know in a comment below which remedy worked best for you! I have a family member with folliculitis and while they’re into homeopathy, I don’t think they know about these home remedies for folliculitis. I didn’t know about Indian lilac. It sounds like it is worth looking into because of its anti-inflammatory properties and I bet it has many other uses too. I’ve had to take anti-inflammatories for chronic pain, only to find out they are bad for the stomach. 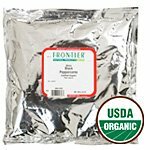 Could I take Indian lilac for aches and pains? Indian Lilac is certainly great for folliculitis, but we would not recommend you take it internally for fighting aches and pains. We could recommend something else, although, it depends on where the pain is located at. For example, you can use Willow bark tea for knee, joint, and hip pain, you can see here how to prepare it: https://homeremedybook.com/home-remedies-for-knee-pain/. Let us know if that helped! I like the idea of treating something for a low cost with good results. Prescriptions are so high now, even with insurance (I’m sure most people can relate to high co-pays). Your 14 home remedies for folliculitis are sure to put some smiles on some faces when they get results without spending their hard-earned money.